|_ Haynes Great Cars series. The world's leading producer of sports cars in the 1950s and 1960s. 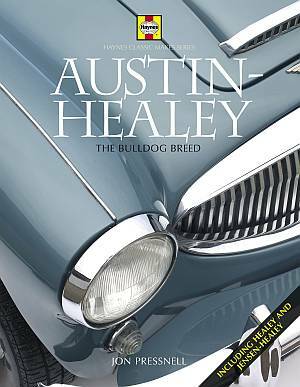 But the cheeky little Austin-Healey Sprite and the rugged 'Big Healey' with its muscular good looks are only part of a fascinating story that stretches back to the glory days of pre-war rallying and ends with the ill-fated Jensen-Healey. All this and more is told in the latest title in Haynes' acclaimed "Classic Makes" series - along with practical guidance in the form of driving impressions and buying hints, based on the author's personal experience of most of the cars featured.